Did you know that your baby will go through as many as 3,000 diaper changes from birth through to potty training? Disposable diapers are certainly the most popular method of diapering in the US as they are readily available to purchase and there’s no commitment to launder an outer diaper or inner liner, or dispose of an insert. 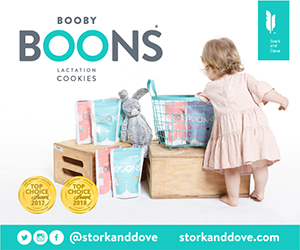 But convenience comes with a cost—they’re expensive (up to $2,000 per kid through potty training) and environmentally controversial because of the lack of biodegradability of some brands. If you’re opting for disposables, you can help reduce waste concerns by discarding stool in the toilet rather than in your household trash. Take time to weigh the factor of convenience against the reality of waste produced. And look for “greener” options now available in most stores. 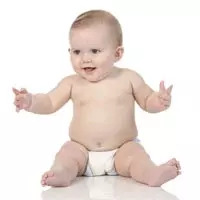 Most experts no longer recommend cloth diapers primarily as they don’t wick moisture and stool away from baby’s skin, leading to skin irritation, and by the time you factor in laundering or the inpact of a diaper service, the “greeness” of cloth diapers is comparable to disposables. If you’re looking for a greener cloth option, consider the stylish and comfy diaper wrappers that hold either a washable insert or disposable pad. Some are even engineered with fasteners that allow the wrapper to grow with your baby from birth to toddlerhood. For hygiene, wash cloth diapers in hot water, separate from other laundry and avoid perfumed detergents and softeners that can bother baby’s sensitive skin. Regardless of your choice, the American Academy of Pediatrics (AAP) stresses the need to keep baby’s tender skin as clean and dry as possible with prompt changes. It’s common for babies to develop diaper rash during infancy but the AAP reminds you to contact your baby’s healthcare provider if the rash has blisters or pus, if your baby is taking antibiotics and develops a red raised rash, if she gets a fever while having diaper rash, or if the rash is painful. Choose what works best for you and your family, including the decision as to who gets to change diapers in the middle of the night! You should also read our article How to conquer potty Training.